A blend of local apples are used to produce this 100% Ontario cider. Like winemaking, premium fruit is the foundation for a quality cider. We select only premium local apples; the selection is a ‘house’ blend of apples that provides bright fruit flavours and a natural acidity. Cider making is much like winemaking in trying to achieve balance on the palate. A ‘fruit wine’ that goes through an alcoholic fermentation much like wine. When the apples are soft it is ready to be mashed and then pressed to extract the juice. The natural sugars in the juice are then fermented into alcohol to produce the finished still blend which is finished with bubbles. A refreshing cider with just the right amount of acidity. 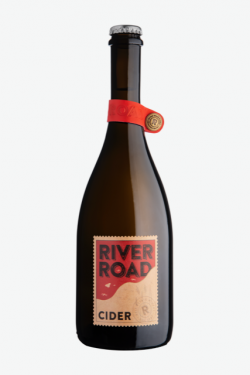 Tart apple and citrus aromas with sweet apple flavours and a crisp sparkling finish.